The implementation of the YESS Standard relies on the determination of countries that are and are not at risk of utilizing forced labor in their cotton production. The YESS Standard addresses private forms of forced labor as well as state-sponsored forced labor. It designates countries into one of two categories: high-risk countries and low-risk countries based on the International Labour Organization’s (ILO’s) forced labor conventions, and supported by research and reports from numerous NGOs, government agencies, and news organizations. To make this determination, the YESS Standard utilizes the two foundational ILO conventions on forced labor: C029: Forced Labour Convention, 1930 and the C105: Abolition of Forced Labour Convention, 1957. For a detailed description of the methodology and documented evidence per country, see the link below YESS Standard annex IV. 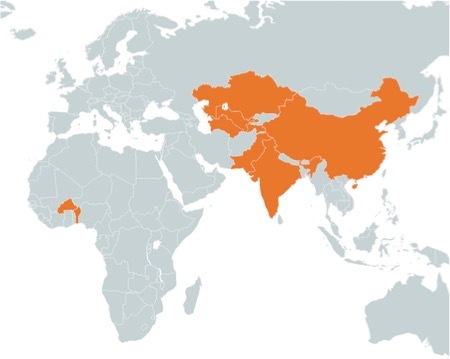 Using this methodology and research, YESS determined that nine countries have high-risk of forced labor in their cotton production: Benin, Burkina Faso, China, India, Kazakhstan, Pakistan, Tajikistan, Turkmenistan, and Uzbekistan.